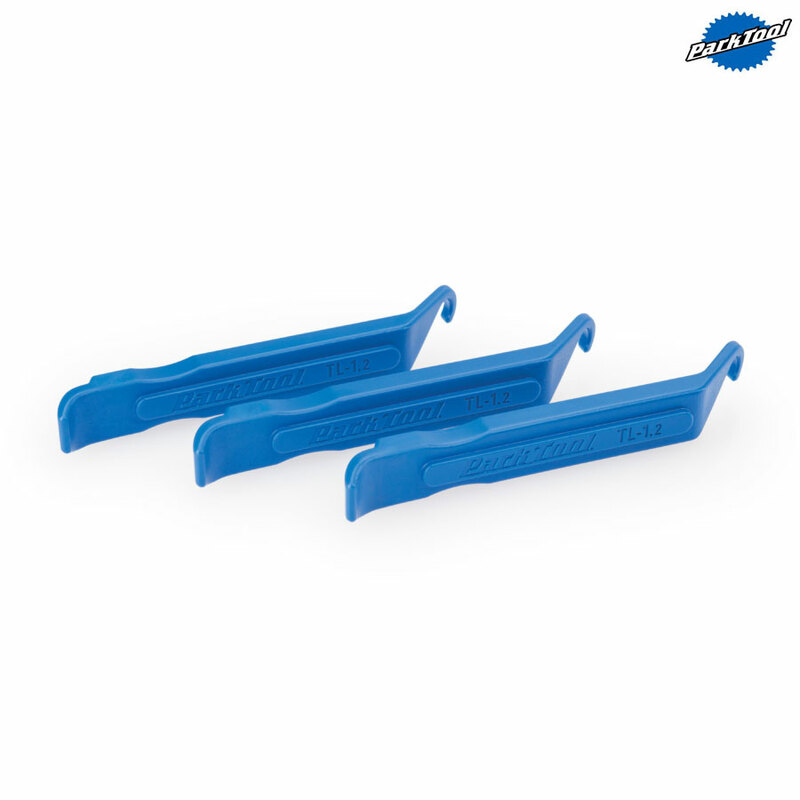 - Well designed tyre levers to help make puncture repair as easy as possible. - Updated to be stronger and more versatile. - New material and redesigned tip. - Easy entry into just about any tyre, including tubeless tyres. - The unique design lifts the tyre away from the rim and features a spoke hook to use when multiple levers are needed. - Set of 3 levers. Why review tyre levers? Surely they are just levers? Not so. Some bend under force and are pretty useless. Some are likely to pinch the tube and damage it. Some have a metal core with low grade plastic coating that splits away with use. These Park Tool levers, on the other hand, do their levering very nicely. I have never broken one, and never damaged a tube or rim even with tight metal-beaded tyres.